Hey Holly Golightly: Is Stevia Safe? If you are a regular reader of health magazines, you know what is going on in the dieting world, or truth be told even if you have just visited a supermarket recently you have probably heard of Stevia. The latest (and greatest) no-cal sweetener to save us from fat while enjoying all that sweet has to offer. But in a zippy and unexpected twist the new sweetener has no cals and is (gasp!) all NATURAL. Unlike aspartame, matidol and others, the only choice we have had when it comes to no-calorie sweeteners, Stevia isn’t manufactured in a lab by some smart dude. Stevia is a plant! The short answer is yes. 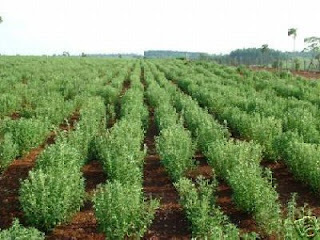 Stevia is now available in most countries and recent research shows that Stevia is safe for consumption however it was a rocky road for our sweet little plant. In the 1980’s animal studies linked Stevia to the adverse effects on fertility and reproductive development and possible genetic mutations. (Wowsers!) Hence the ban in the USA. But then in 2008 after new evidence was submitted to the Food and Drug Administration and the ban on Stevia was withdrawn. The interesting part is that the new evidence was submitted by Truvia and PureVia companies which were looking to commercialise Stevia. Further controversy was that normally the FDA would require to studies to be submitted to review evidence but on this occasion there was only one. Over in Japan Stevia has been used for centuries and was commercialised in 1971. To date there are no adverse side effects recorded. There are preliminary human studies suggest stevia can help reduce hypertension, although another study has shown no effects whatsoever on hypertension. Another study found Stevia to have a mutagen effect but there is a swarm of criticism of this experiment involving rats. With evidence suggesting that the conditions were poor and so the results couldn’t possibly be used to prove anything. What we can get excited about is that there is an alternative to the cocktail of artificial sweeteners which have long been the centre of controversy and worry. What is probably most important to note is that the effects of stevia in large amounts remains untested and like all good ideas in the food industry Stevia is in danger of being exploited. Recently PepsiCo released a soft drink sweetened with stevia and it is likely others will follow. The choice is yours and I can’t argue with the Japanese but just remember they are NOT spooning it on to their cornflakes every morning….